Hotstar, the preferred streaming service for the best of South Asian entertainment & cricket, is once again bringing the signature VIVO IPL experience to cricket fans in North America. As the official digital streaming partner for the VIVO IPL 2019, Hotstar will LIVE stream all the matches starting March 23rd. The platform makes streaming the most exciting cricket tournament of the year easier than ever. Hotstar is available on the web (us.hotstar.com and ca.hotstar.com), google play store, app store, as well as on Roku TV, Apple TV, Amazon Fire TV Stick and Android TV. So, whether on a big screen TV in the living room or on a mobile screen while on-the-go, cricket enthusiasts can tune in to VIVO IPL anytime and anywhere. What’s more, for those who miss the LIVE stream, Hotstar’s video-on-demand feature allows subscribers to replay the match at their convenience or just catch-up with customized highlights of the best moments. The VIVO IPL experience on Hotstar has truly revolutionized the annual sporting spectacle with unique content offerings that recreate the frenzied energy of the game in North America. 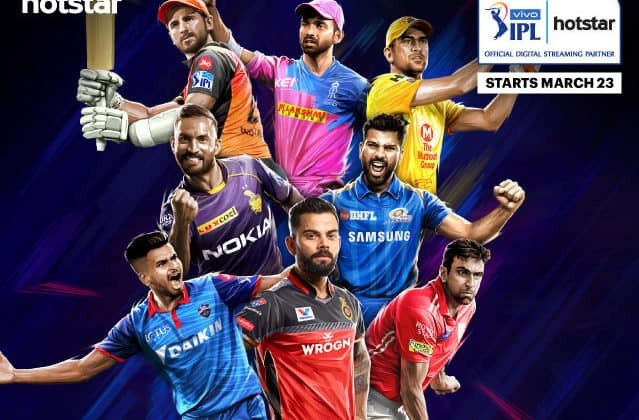 Hotstar is the official digital streaming partner for VIVO IPL 2019 0 out of 5 based on 0 ratings. 0 user reviews.